...yes, late indeed! Late at night and late to post. 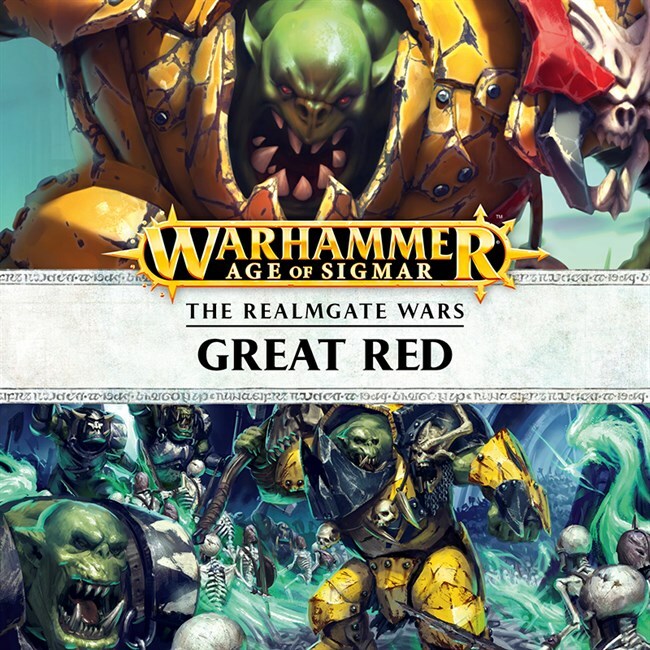 The two releases described below actually became available last week, quite unexpectedly too I might add. My only excuse for such tardy behaviour is that it's been a bit of a 'full on' week one way and another and I'm also now deep into preparation for quite a bit of Games Workshop activity next week, followed by a 'fantasy genre' audio book to be recorded the following week for Hachette, which is part of the Little, Brown Group for whom I recorded Nev Fountain's novel, Painkiller, last autumn - small world! I'm enjoying the slower pace of preparation for these recordings, as the last six or seven months have been almost too crazy for comfort. This new audio book, when recorded, will I think, be the 43rd audio recording (ie books & drama) since completing The Bible in mid November '15 - crazy indeed! 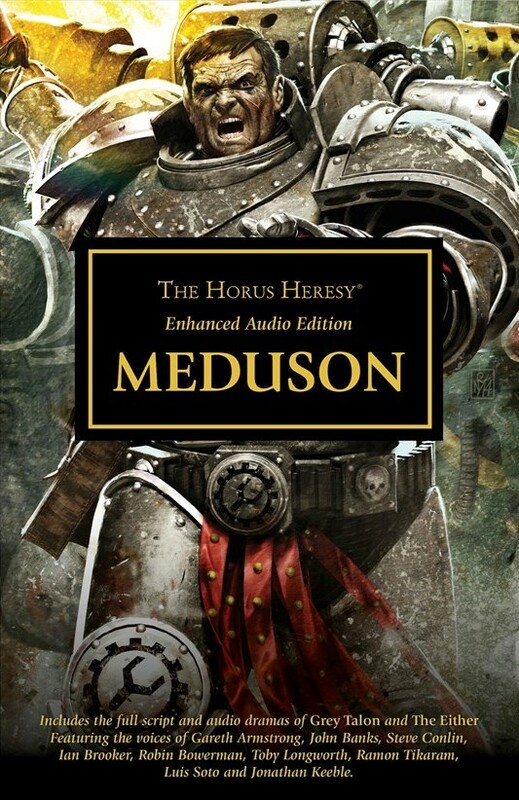 Ten tales of the Tenth and their Shattered Legions allies bring the brutal guerilla war to life as the Sons of Horus hunt the leader of the insurgency – the infamous Shadrak Meduson. Driven almost to the brink of self-destruction by the death of Ferrus Manus, the Iron Hands now seek vengeance for the many horrors of Isstvan V. Gathering survivors from the Raven Guard and the Salamanders aboard any vessels capable of warp travel, they wage a new campaign of annihilation against the traitor forces across the galaxy - a campaign masterminded by legendary warleader Shadrak Meduson. 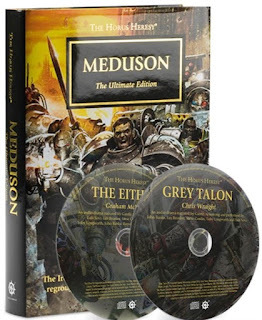 In Meduson: Ultimate Edition, Black Library is proud to present seven short stories from the original anthology, as well as Grey Talon and The Either as full-cast audio dramas with complete production scripts. Finally, the defiant strength of the Iron Tenth begins to fall in the brand new story Hand Elect by Chris Wraight. 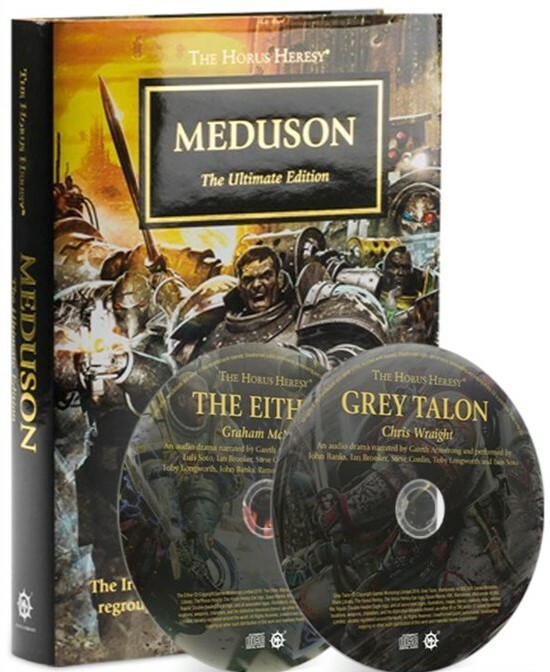 Grey Talon by Chris Wraight. Running time 60 minutes. Performed by John Banks, Ian Brooker, Steve Conlin, Toby Longworth & Luis Soto. The Either by Graham McNeill. Running time 67 minutes. Performed by Gareth Armstrong, John Banks, Robin Bowerman, Ian Brooker, Steve Conlin, Toby Longworth, Luis Soto & Ramon Tikaram. And so to wrap up this late edition, I'd just like to say how pleased I am that the Tenth Doctor Adventures mentioned previously, seem to be being very well received, so thanks to all who have expressed such a positive reaction to these stories, of which, I am delighted to have been a part.